Before Bubba was around, it took me ages to convince Hubby that having a bubba would be a good idea. He wasn't really against the idea but had lots of things he thought we might want to do before we went ahead. Anyway after lots of discussions (he would saying nagging) we found ourselves staring at the little positive lined preggie test stick. 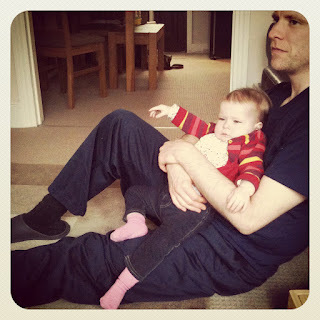 He had no real exposure to children before this point (not having held a child or had to really interact for any length of time) so I was anxious how he would relate to our own child. I shouldn't have worried, he took to life with a little person better than I did at times and just watching the two of them together makes my heart melt. They really have fun and she is definitely a daddy's girl. They seem to have a more relaxed time together which I think is really cute. 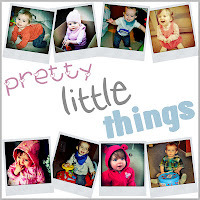 For more cuteness then head over to Hollybobb's & Love From Mummy for more Pretty.Little.Things.